• Ideal broadcaster for fertilizer and seeds. • Increase the yield of crops by easy, fast and uniformly broadcasting. 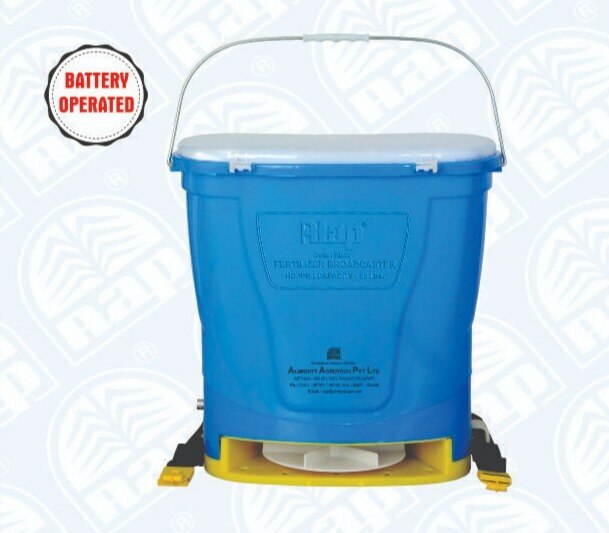 • Maintenance free battery - 12V/7Ah. • labour and time saver.